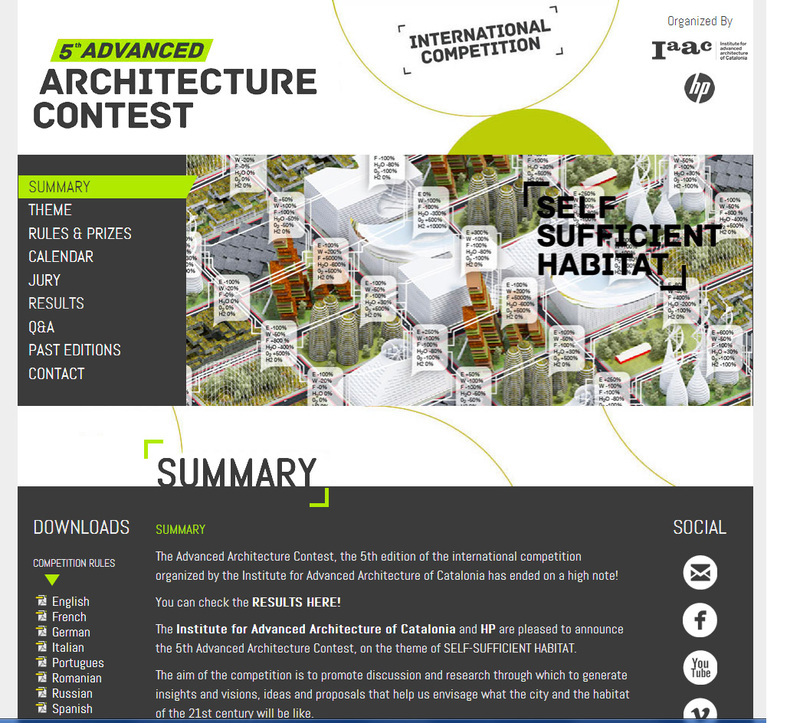 I also looked at the two different competition briefs, one posted on a website (http://www.advancedarchitecturecontest.org/index.php) for a ‘Self Sufficient Habitat’ and the other for the ‘New Mosque & Museum of Triana Design’ (http://www.scribd.com/doc/82867108/Competition-Brief-New-Mosque-Museum-of-Tirana-and-Religious-Harmony-march-11) The first contains a very clear cut structure with vibrant and captivating graphics, clear instructions stating the timeline, jury members and rules. However, there were no images or maps pertaining to the project, intending the competitors to do their own research. This is in complete contrast to the ‘New Mosque & Museum of Triana Design’ competition brief which produces sufficient site maps and images which will enable the competitors to understand the site better. However, there is also a lot of what seems to be unnecessary text within this brief. I have decided to follow the basic 3 section structure that the AIA suggests and aim to use captivating graphics and many images/maps to give as much information as possible to the potential competitors for them to fully understand the problems outlined.